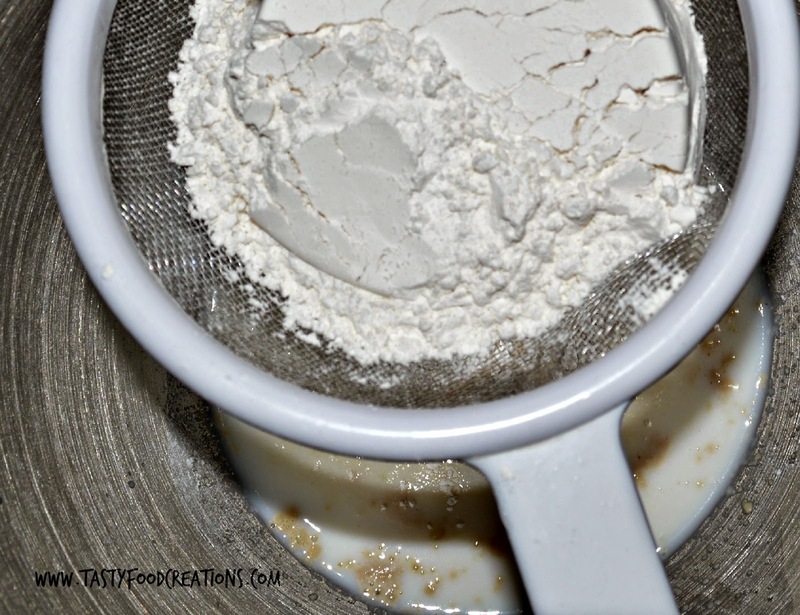 Sift 1 cup of flour. 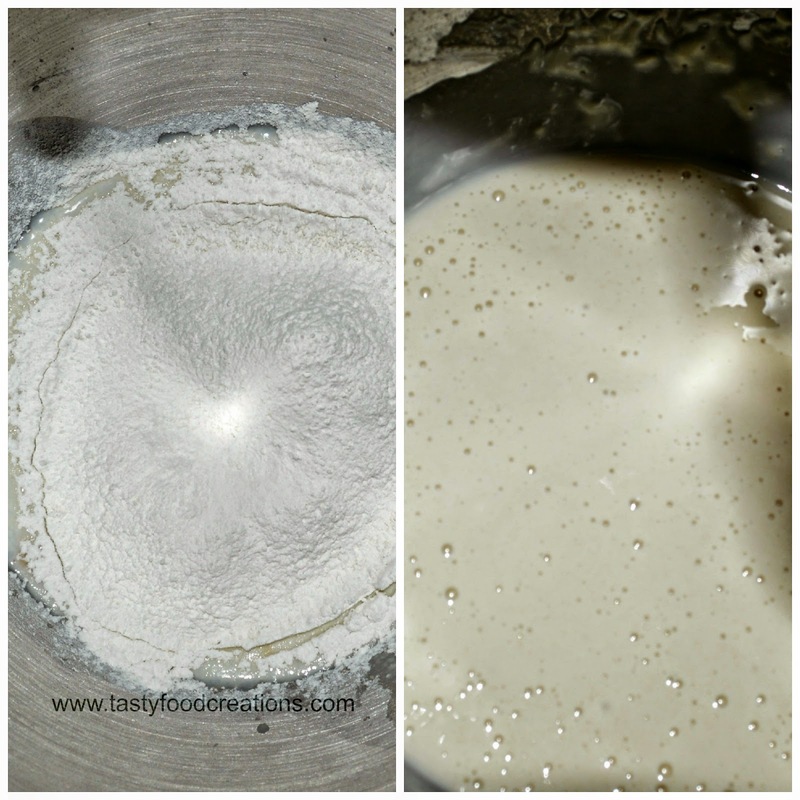 Knead the dough for 4-5 minutes until it is soft and smooth. 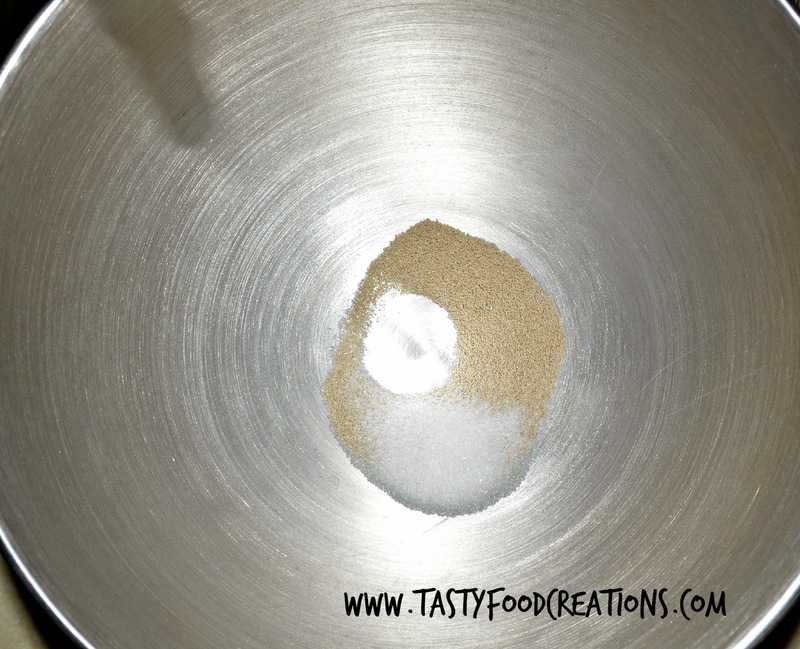 Place dough in lightly oiled bowl and cover with oiled plastic wrap. 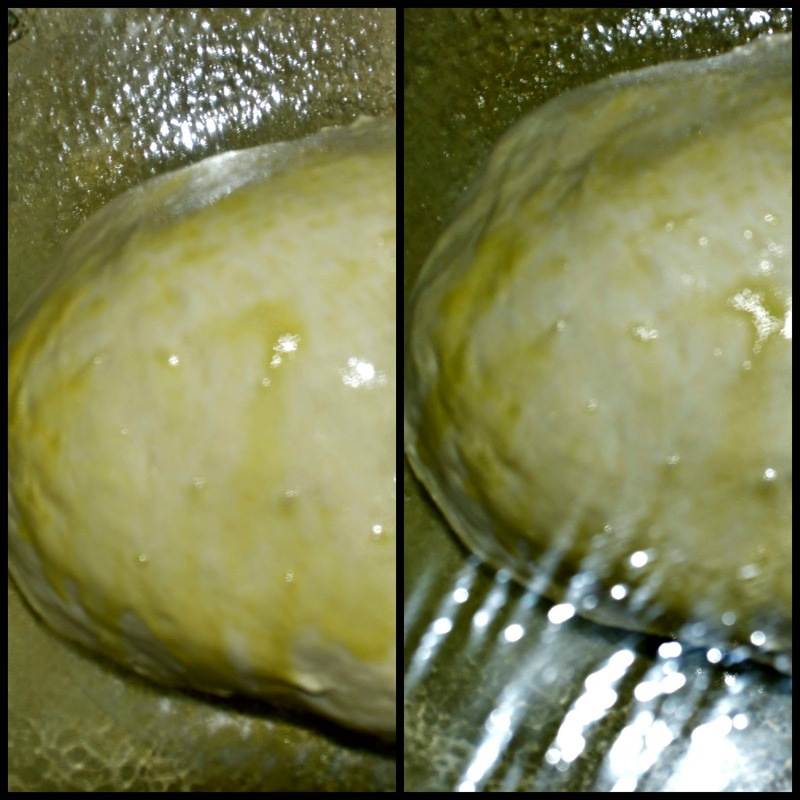 Let it rise until doubled in size (about an hour or so). 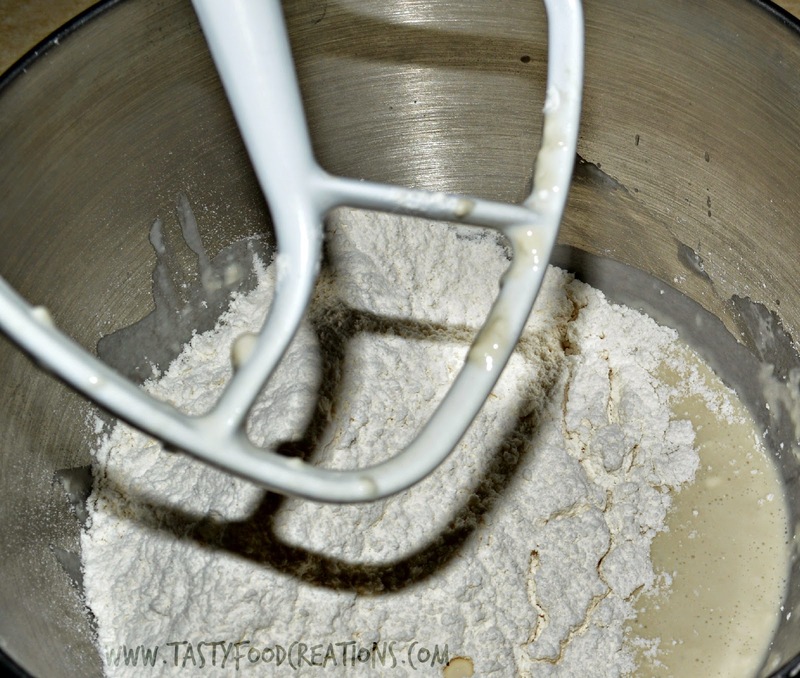 Divide dough into eight equal pieces. 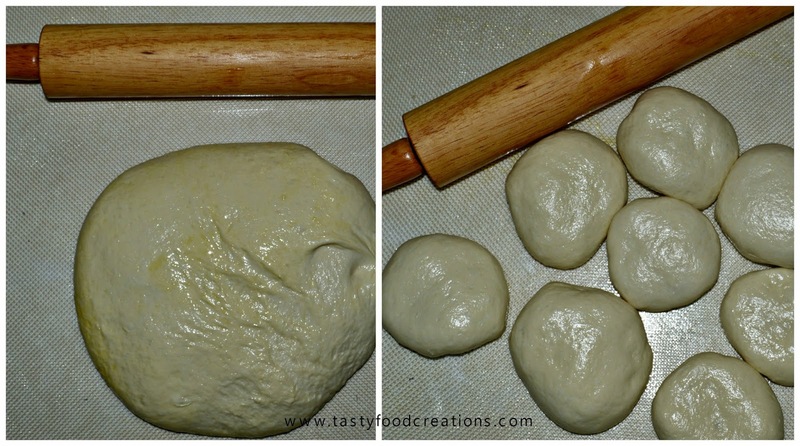 Cover with a cloth or plastic wrap and let dough pieces rest for 10 minutes, this helps relax the gluten so that dough is easier to roll out. Heat a griddle or skillet to medium heat. 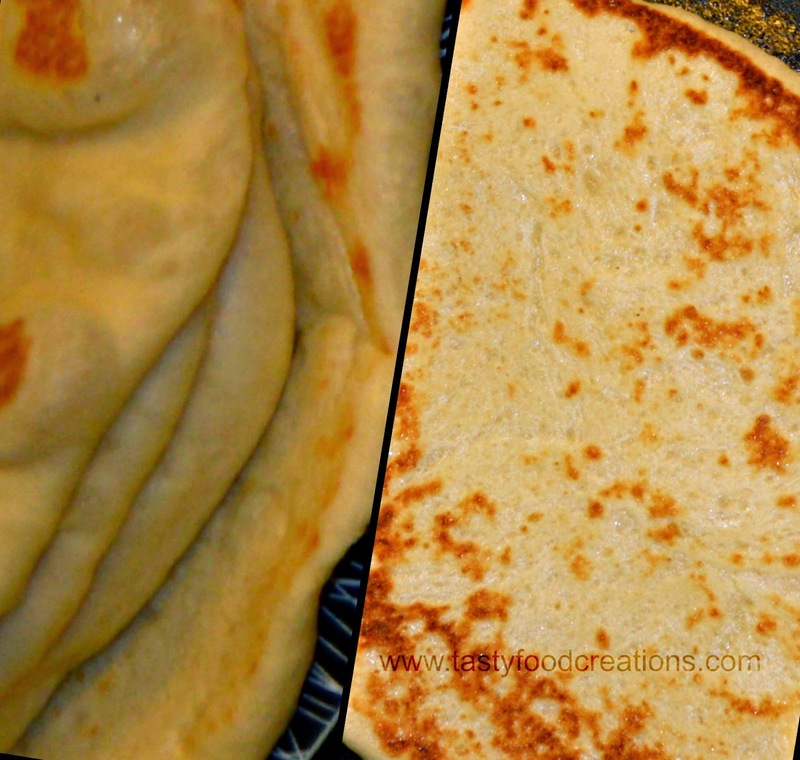 When the griddle/skillet is hot, cook pita for 2-3 minutes on the first side until it bubbles and puffs. 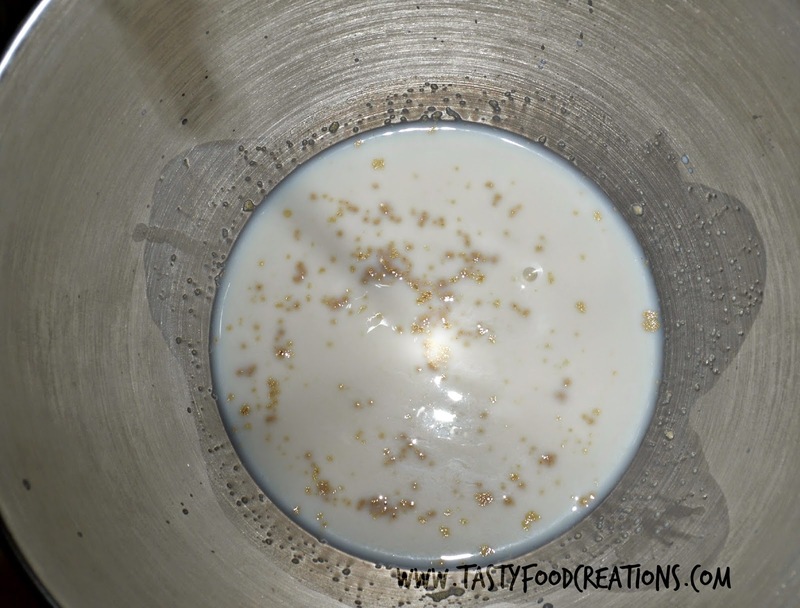 Flip it over and cook on the second side until it is golden and spotty. 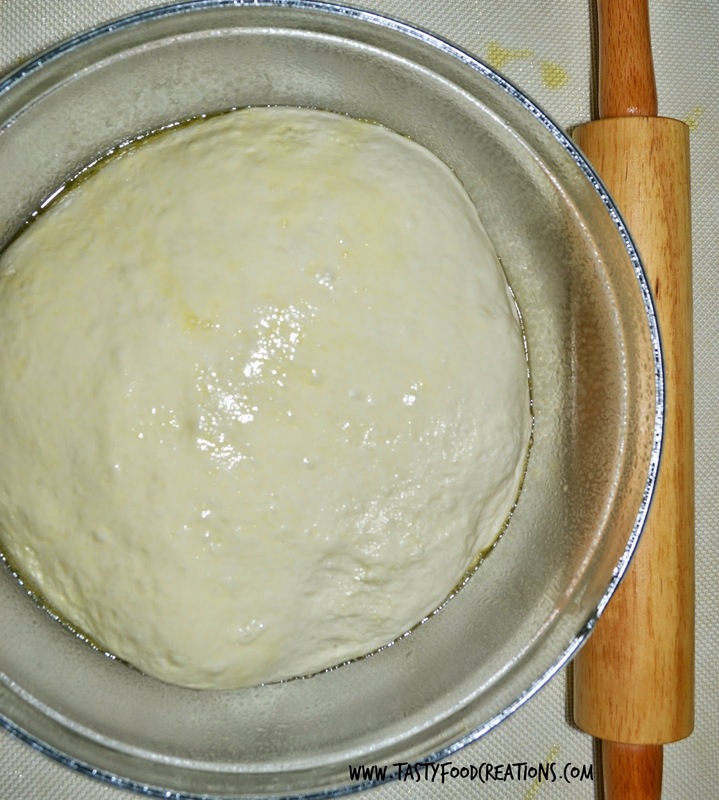 (If the skillet isn't hot enough, the bread can turn out dry and it wont be flexible and elastic from being overcooked. 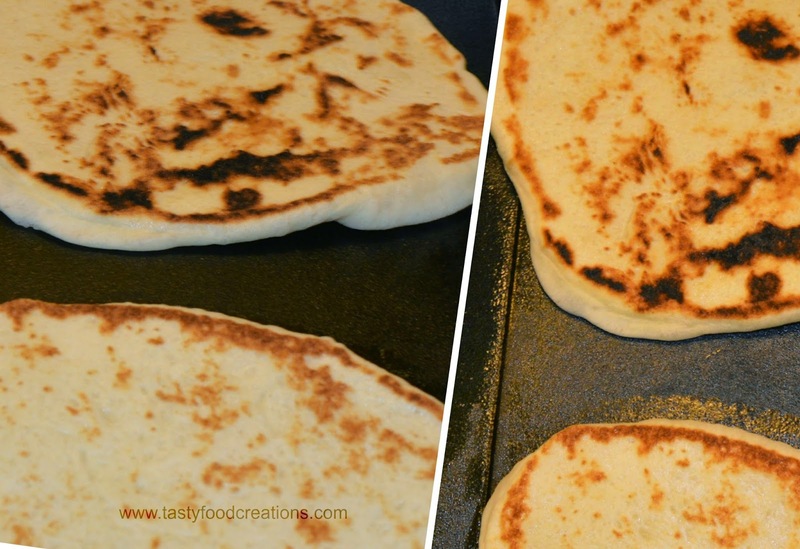 Cook Pita Bread 2-3 minutes per side. 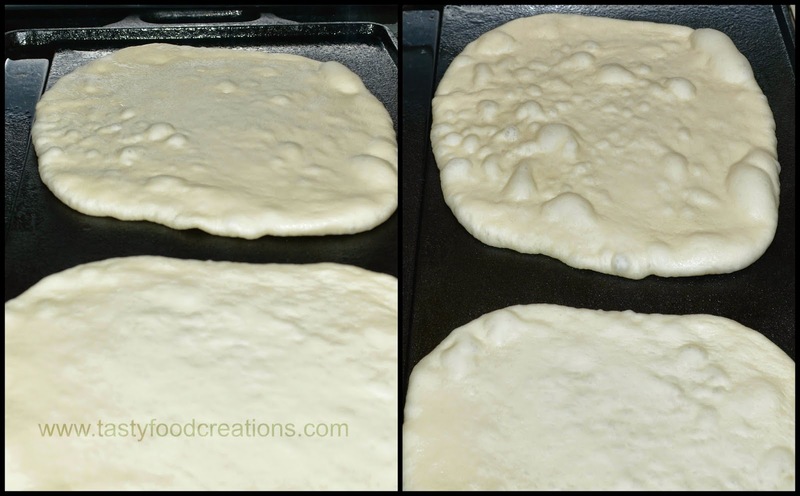 Transfer pitas to a plate and cover with plastic wrap or clean towel So they will stay soft and elastic. 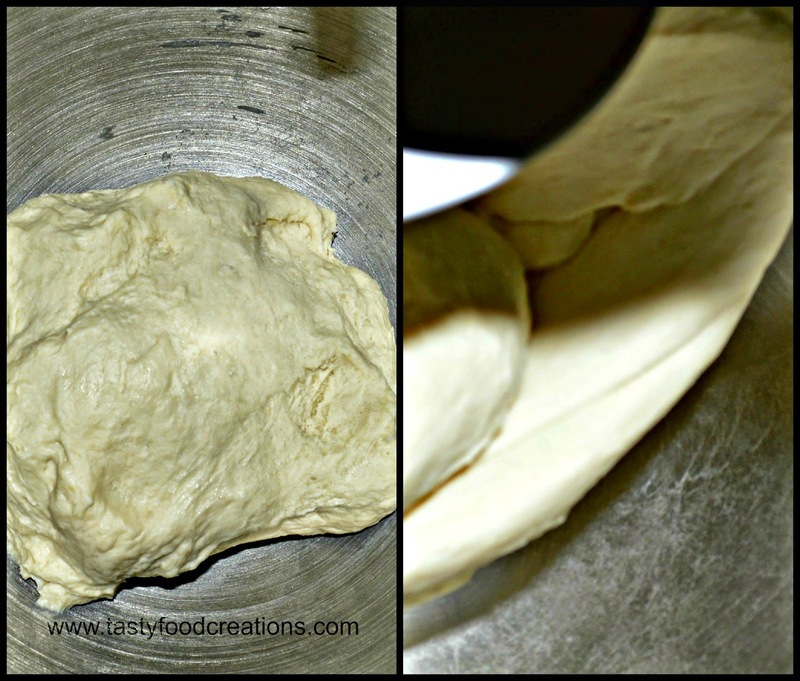 It is best to serve pitas the day they are made but you can reheated them day after. Note: These Pitas can be Frozen. Cook, cool and then freeze. When you are ready to serve pitas, thaw them and then heat them slightly in oven, microwave or toaster oven covered with wet paper towel.